Thanks jchrisf. 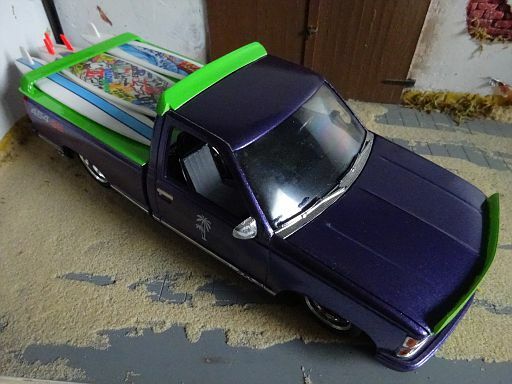 It's a Backstreet Garage resin dio from scaleproduction.de. Cool truck! But, Revell didn't produce the SS 454. AMT did. Thanks Plowboy. Yes AMT did how wrong am I! Cool build Pat!! I just picked one of these kits up last week. Really lookin' forward to building it. 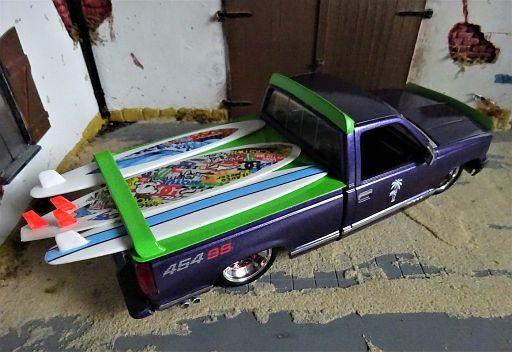 Cool looking surf hauler, Pat.